Using fertigation. 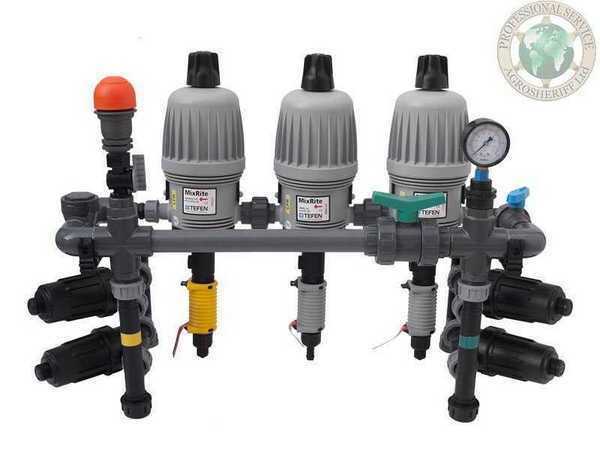 Fertigation Kit by capacity 1 kub. m. be hour. We bring the different variants of the similar systems to possible was value their advantage and defect, match their own need with possibility of the different technical decisions for making the systems of the fertilizer of the plants, combined with irrigation. For normal development to plants necessary 16 nourishing elements, which enter with air, water and fertilizers. Fertigation Equipment. Способы и оборудование для фертигации. Устройства, автоматизация.